You need CCTV Camera Vision Pro lowest price in Indonesia? 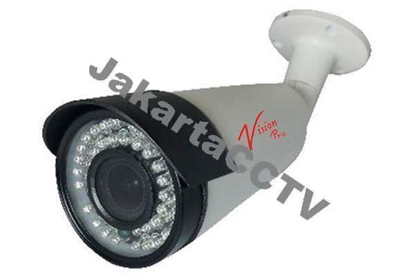 Vision CCTV Camera Pros is a CCTV camera is already widely used in Indonesia. The price offered by this brand are very affordable with good quality CCTV cameras. Many CCTV cameras from lesser-known brands with the lowest price in Indonesia offers a type of camera with high specifications, you should not be affected by the price is too cheap because the quality is not as good as the brand that has been known. Get CCTV Camera Vision Pro lowest price on JakartaCCTV, we are a distributor of CCTV cameras cheapest and reliable in Indonesia, especially in Jakarta. The quality of the CCTV cameras of the brand Vision Pro does not need to doubt, one of the products camera is VHD 1030 IW. A Dome Camera with 720p HD resolution quality. This camera has an IP66 protection rating that allows it to be placed in the outdoor area, but it has been equipped with an infrared LED 36 pieces with an effective range of up to 20 meters. With these advantages, VHD 1030 IW is priced at an affordable price. For more details, you can contact JakartaCCTV or directly to our showroom to view a demo of this camera. 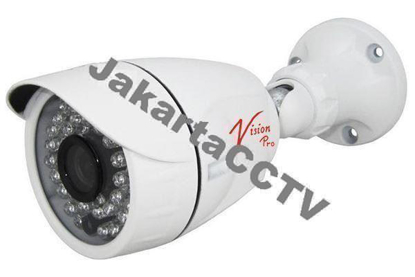 JakartaCCTV gives you CCTV Camera Vision Pro Lowest Price in Jakarta. Complete your security system with CCTV Camera Vision Pro Lowest Price in JakartaCCTV. We have a variety of brands CCTV camera with a good quality camera. We also provide discounts on certain packages CCTV and CCTV cameras specific to a certain time period. 1/3” CMOS 1.3 megapixel Resolution. 1/4” CMOS 1.0 megapixel Resolution. IR LED : 42 unit.